To say that there is a crisis in the world of Catholic catechesis is an understatement. Three generations of Catholic young people have been ill-served by the formation in the faith that they deserved but did not receive. Of course, they did not object much, nor are many of them objecting now. Many are simply gone from our midst, never having known the richness of the faith that they have forsaken. Catholics have long agonized over the causes of poor catechesis. Anyone reading this lament could list the usual suspects. 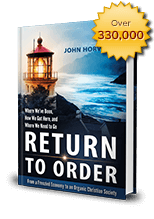 There are too many homilies that are long on vague assertions that we should love each other, but woefully short on doctrine and warnings against sin. There is the doctrinal confusion that came with “the spirit of Vatican II.” All too many modern catechists are poorly formed in the faith themselves. Daily religion lessons in Catholic schools of the past have been largely replaced by 45-minute weekly sessions for public school children called CCD. And the list goes on. Perhaps another cause might be the pernicious effect of the educational theories of John Dewey. At first blush, that may seem like an incredible stretch. Dewey was unashamedly agnostic. He may have been baptized since his Protestant mother had significant religious inclinations. However, if he ever darkened the door of a Catholic church, the event is unrecorded. He died a decade before Vatican II was first convened. 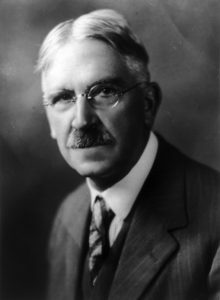 For those unfamiliar with John Dewey (1859-1952), he was a philosopher and education reformer that heavily influenced the American education to this day. Perhaps his most important tenet is that the goal of education is to teach children how to learn and think, rather than to transmit information from one generation to another. He affirmed that truths are discovered rather than taught. If anyone agrees with the last two sentences, it just goes to show how influential he has been. In common Catholic educational circles, Dewey’s influence can be seen by those who affirm that helping students experience the love of God is far more important than teaching a set of dogmas. The love of God and the graces that come to us because of that love is clearly of paramount importance. However, to emphasize the experience runs the risk of grave error. We have all heard – or perhaps even said – “I feel closer to God walking through the forest than I do in church.” The occasional experience of feeling that God is all around us can be marvelous, but the experience is not enough. We cannot go through life bouncing from experience to experience. Life is lived out day-by-day. For every lofty experience, there are months of tedium. We gain knowledge by practice or through facts and techniques shared by others. That takes us back to John Dewey. Dewey argued that the experience IS the way that we learn. The experience drives us on to gain greater knowledge, motivates us to learn. Driven by the experience, learning is fun, interesting, maybe even fulfilling. Without the experience, learning is dead, boring, and tedious. It fills the head with unconnected facts that have no meaning to the student and are quickly forgotten. Replicate or simulate the experience, Dewey tells us, and then deep learning becomes possible. How could this relate to the life of a developing Catholic? Let us think of a young person who has an intense religious experience. Unfortunately, those experiences are usually short-lived, passing quickly amid the pressures of school, work, or friends. It is a very old, and far too common story. Our Lord told it to us in the parable of the sower. It is the story of the seed that fell on rocky ground, sprang up quickly, and then withered. How did our current catechists learn to teach? Usually they are volunteers, having received little or no training in methods. They were taught to teach by experiencing the methods used by their own teachers. The underlying assumptions of those teachers – and their teachers – go unexamined. So, even though most catechists have likely never heard of John Dewey, his ideas are present in their classrooms. Dewey’s methods, formed in the first two decades of the twentieth century, became the basis of most teacher training in the U.S. By the fifties, his process became virtually universal in schools – both public and Catholic. Very likely, his methods formed the way in which we were taught. The problem with Dewey’s focus on experience is that it puts the cart before the horse. The facts have to come before the experience. When we are planting seeds of learning, the soil is the set of facts that we already know. Those facts, far from being lifeless, are the sustainers of the life of the mind and soul. The facts give substance to the experience. The knowledge puts the experience into perspective. If the pernicious influence of John Dewey is to be discarded, we have to get over two fears – the fear of facts and the fear of boredom. There is no learning without facts. The objective nature of truth is basic to life. Sometimes we learn facts in an ordered sequence, sometimes there is no pattern at all – but learn them we must. Certain letter combinations produce words. Words have meanings. Unless we agree on the meaning, the words become useless. Grass is green because of photosynthesis. Two times two equals four. The Normans conquered England in 1066. Jesus died to save us from the enormity of our sins. These are facts. Nothing on earth will change them. Ignore them at your peril. Students will sometimes be bored. They need to learn to deal with it, as we all do. At some point in life, experiences become boring as they become commonplace. When the work that we can do becomes boring, we just have to grin and bear it – going to work and back home every day is not an optional activity. Failure to go to work brings serious financial consequences. This is also true in the life of the Church. Sometimes going to Holy Mass is a beautiful experience. Other times, our fallen human nature causes us not to focus on the beauty of the Mass. We come to see going to Mass as an obligation. If we fear boredom and worship each new experience, we may well decide not to go to Mass. Not fulfilling that obligation constitutes mortal sin. We might go to Mass week after week and see no obvious benefit. However, sometimes we go to Mass because it is an obligation and it becomes an experience in which we sense God pouring out His grace. The fact of the obligation comes first – the experience doesn’t happen without it. No student can be excited into grace. Catechists do not provide the grace. The grace is a free gift from God, to be dispensed in His time and His way. The job of the catechist is to teach the truths of the faith and pray that God will provide the graces that make those truths meaningful. This entry was posted in Featured and tagged agnoticism, catechesis, Catholic Church, crisis, error, experience, faith by Edwin Benson. Bookmark the permalink.